When we're on holiday I rather enjoy browsing through guides to the local area; taking tips of where to visit, places of interest and looking for inspiration for days out. It's never crossed my mind to look through a travel guide for my own area! 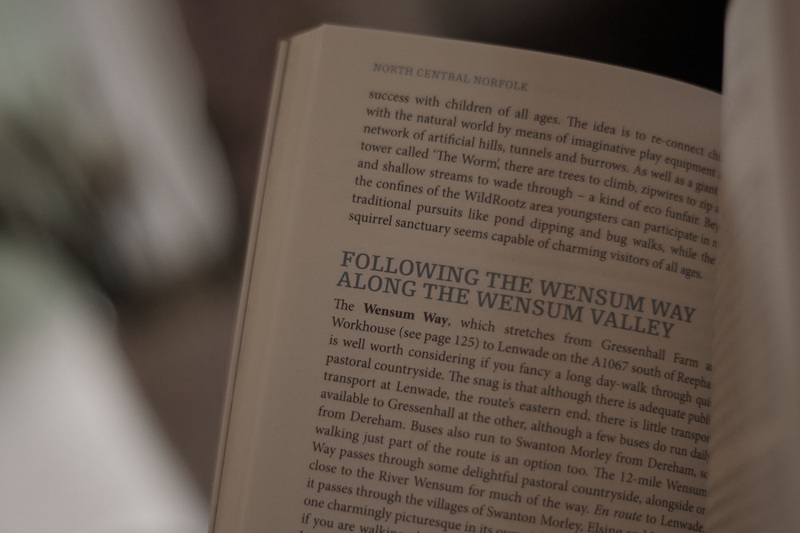 However, when Bradt got in touch to offer me a copy of the Slow Travel guide to Norfolk I was intrigued. I'm fairly familiar with the county we have lived in for the best part of 8 years but often we find ourselves going to the same old places. Sometimes you need a little reminder of where else exists! It's a lovely book to have a read of while drinking coffee and popping my feet up for ten minutes. My first thought was to flick through and find my local areas to see what was said about them which was interesting but there is so much content of interest that I am going to pop some bookmarks in so that when we fancy a trip out I have a few ideas already lined up. What I really enjoyed about this guide was how it is laid out; in chapters of area, with breakdowns of places to visit, nuggets of information (many which were new to me) and food and drink suggestions. There are bountiful places of interest highlighted along with walks or attractions detailed, along with accommodation and all with links and/or telephone numbers, so easy to plan ahead with bookings. 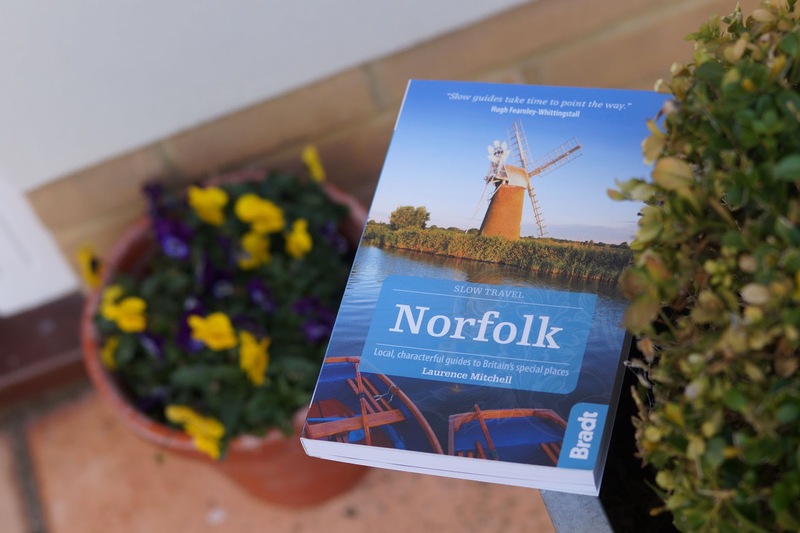 As well as being a particularly useful guide for someone actively using it to navigate the county, it's also a darn enjoyable read as it's well written by Laurence Mitchell, a long-time resident of Norfolk and accomplished travel writer. 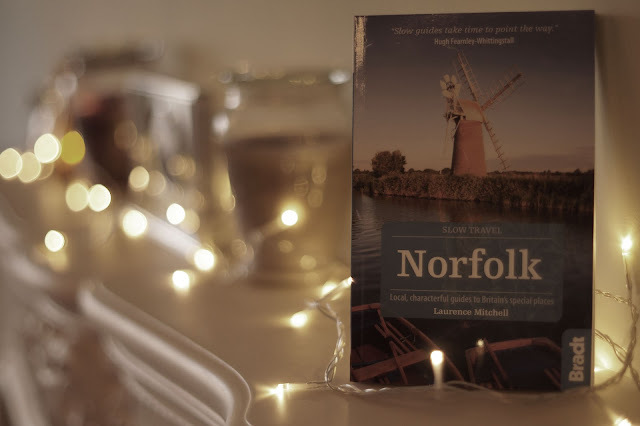 My interest has been well and truly piqued in visiting some new places in Norfolk, with some lovely walks identified that we're keen to try out. In fact I'm tempted to buy the Slow Travel Suffolk guide too for the days we're tempted to venture beyond the county borders. 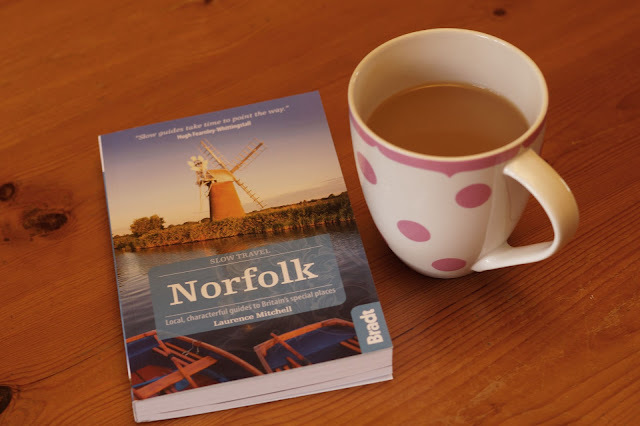 It's English Tourism Week at the moment (I'm sure you knew already) and in the spirit of encouraging you to explore my beloved county of Norfolk you can do so for less. For an exclusive 20% discount on Bradt's Slow Travel Norfolk guidebook, visit www.bradtguides.com and enter the code STICKS at the checkout. Offer valid until 30th April 2016.